The RECCO® Rescue System is a two-part system. Manufactures attach a small Band-Aid-sized reflector (sometimes called a "chip") into clothing, boots, helmets, Ortovox avalanche transceivers, etc. The reflector is a passive device and does not require batteries or any user attention. A special detector, which is used by professional rescuers, transmits a signal that is reflected back to the detector. The system is analogous to submarine sonar—the detector sends a signal that bounces off the chip and is received by the detector. The RECCO detector has a range of up to 120 meters through the air, 20 meters through dry snow, 10 meters in wet snow, and 8 inches in water. These special detectors are used by more than 700 ski areas and search and rescue teams. 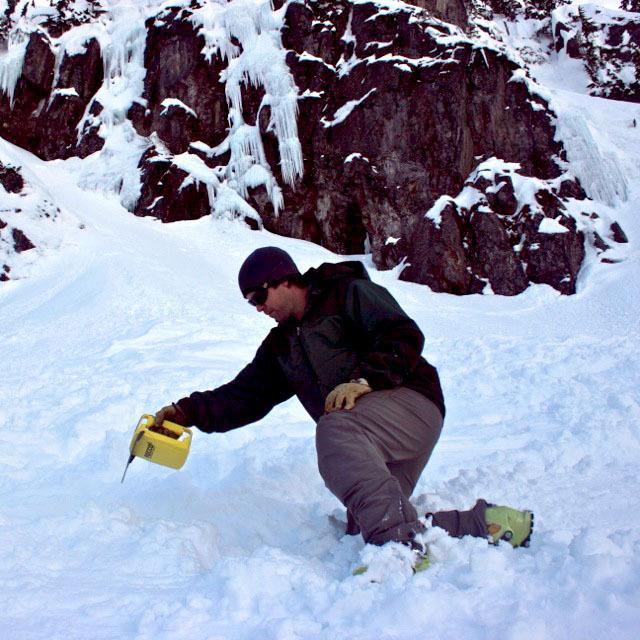 The RECCO detector is a worthy addition to the professional's search arsenal, but the system is not intended to replace avalanche transceivers. Even more so than avalanche transceivers, becoming proficient with a RECCO detector requires practice. The RECCO system can sometimes detect other electronic devices, such as a cell phone or two-way radio, at very short distances. I have occasionally picked up a signal from electronic devices when training with a RECCO detector, but I have not been able to locate a victim's electronics during an actual search. And in hindsight, I should have tried with much shorter search strip widths (e.g., two meters). RECCO detectors also receive the 457 kHz signal from avalanche transceivers, but they are basically old-school analog beacons and do not display direction or distance indicators. That's still very helpful for a professional rescuer, because a rescuer can search for an avalanche transceiver and RECCO reflector simultaneously. If a 457 kHz signal is received, the rescuer can use a modern avalanche transceiver to perform the search. 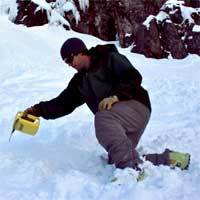 Learn more about the RECCO avalanche location system. Download the RECCO user manual. View additional RECCO training information.